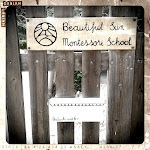 Beautiful Sun Montessori: Things finding their places. Objects and pictures that had been stored for years are finding their place where they belong in the classroom. And behold our first harvest of shimarukus! The parakeets outside are going nuts over these cherries! Thank you Debbie and Tamara for helping with the furniture!